Fredriksen Fire designs, installs and services fire suppression systems throughout Chicago, Illinois and the Chicagoland area. Restaurants and commercial kitchens face a greater risk of having a potential fire, so it is essential to be prepared when it comes to fire safety. If you have a kitchen in the Chicagoland, area, Fredriksen Fire can inspect and service it. Fredriksen is also able to design and install a brand new Kitchen Suppression System. 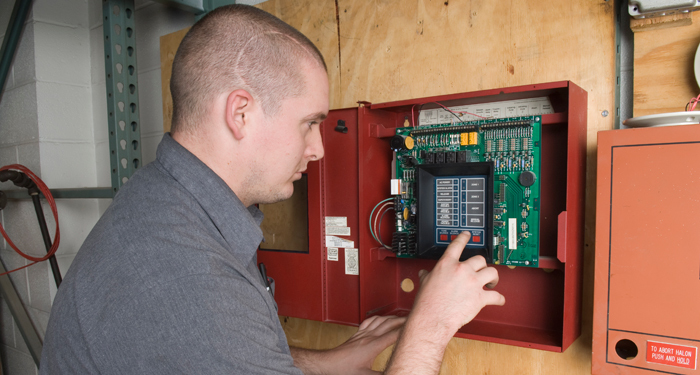 Having a properly functioning fire alarm system is critical to fire safety. Whether you need an inspection, installation or service, Fredriksen can help. Do your visitors know where to go when there’s a fire emergency? Fredriksen Fire installs, inspects and repairs emergency exit lights to ensure your guests are guided to safety.